Find out more about me from my website, www.robertbone.com. 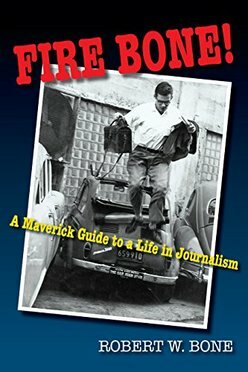 The book which describes my career as a photojournalist is called, Fire Bone! A Maverick Guide to a Life in Journalism. Click here to watch my Rossmoor TV interview. Robert W. Bone has visited every continent and covered at least 75 countries. For four decades, thousands of travelers to Hawaii, Australia and New Zealand carried the latest editions of his prize-winning "Maverick Guides" or read his ground-breaking work on the “last frontier,” Fielding’s Alaska and the Yukon. He wrote travel articles for magazines, and using his personal syndication system, hundreds more for the travel sections of newspapers throughout the U.S. and Canada. Fire Bone! is an unvarnished memoir of thrilling experiences with newspapers, magazines and book publishers, and the childhood and youthful love affairs that led up to them. He’s climbed to the top of a mast at sea and planted a revolutionary flag at a world’s fair. And he’s never been fired from a job. "Fire Bone!" explains all that, too. This book has received 34 all-favorable reviews on Amazon. You can now review and purchase Fire Bone! direct from Amazon. I will send an autograph to be inserted in the book on request. To read my article with the title, "A Maverick Guide to Persistence," click here. 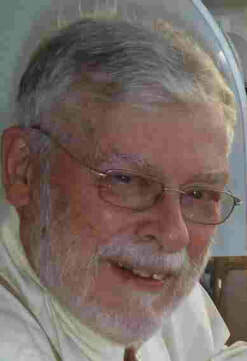 This is my contact information: email, travelwriter@robertbone.com; phone, (925) 954-7388.